Recruit, Hire, Train. Are you better at it than your competitors? This blog is written by guest blogger, Kathi Crawford. Word travels fast in our social, interactive, digital world where everyone and everything has a brand vying for attention. No doubt, significant resources and effort are devoted to branding a company’s product or service. However, it is easy to make the business case that branding in the employment marketplace is equally as vital to an organization’s success. Many CEO’s often overlook this business driver. I worked many years for a division of a company that was rising in their industry and yet suffered from perpetual high turnover, specifically in the sales function. 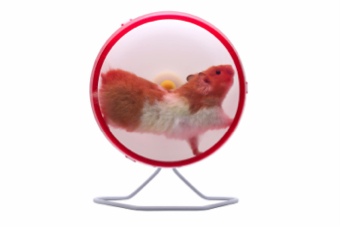 It was like watching a hamster race around the wheel…recruit, hire, train, lose employee – recruit, hire, train, lose employee – and do it all over again. It doesn’t take a financial whiz to grasp that all these trips around the hamster wheel add up to lost revenues and increased costs. Eventually, this type of destabilizing force will have a cumulative negative impact on the business. Step 1 – Make an assessment. Your employment metrics provide an excellent starting place to determine if the bottom line is suffering from excessive turnover, high recruitment costs, low employee engagement, etc. Do you track these metrics? If not, start now. Survey your existing employees to find out their perceptions of professional development opportunities and your work environment. Who are You – Are You Being Authentic? In addressing my division’s high turnover, I realized that a key issue was that the experience a sales consultant had once joining the company did not meet their expectations from the interview process. We painted a pretty picture, but when the sales consultant showed up, he or she realized that it was not as easy or as fun as we had described. Our brand was out of synch! We realized that we did not set up our new sales consultants for success when they joined the company. We had expected them to “hit the ground running” and did not provide adequate training and on-boarding so that they could feel confident once being tracked for results. Learning this, we initiated a training process for new sales consultants, thereby increasing retention and success in the initial ninety day period and beyond. You may not be actively working on your brand or have a branding strategy, but you can rest assured your company has a reputation in the job market. The key to being authentic is that what you say is what you are. Your external message about your employment brand should match the experience that someone has in the interview process and once they are on board. How are you perceived in the marketplace? The worst thing that can happen in the recruiting process it to think you’ve hired the best candidate only to have them underperform or quit because they don’t mesh with your organization’s management style or fit in with your culture. One size does not fit all. It may seem obvious, but if you hire a technology genius with a great work ethic who wants to play in the company game room at lunch and you are a conservative investment firm – this mismatch will fail. If you’re a hard-charging company that expects long hours from your employees, then own it and target candidates who are interested in meeting those expectations. Step 2 – Be authentic. Look at who you really are as an employer, the type of candidates that will best fit with your management style and culture, and develop your brand messaging accordingly just as you would when marketing your product or service. Who’s Hiring Who – Are Potential Employees Your Customers? It’s possible that you had not considered this question before. In fact, your potential employees as well as those that are working for you now, or who leave your organization in the future are your customers. If you consider this as true, would you treat them differently? How would you handle the experience they have with your company, whether they are researching your company as a possible employer, interviewing with you, starting their first day as your employee or they have just given you notice that they are quitting their job? This is the essence of your employment brand. If your messaging is consistent with the experience that your employees have and the people you hire at all levels are a fit for your culture and aspire to achieve your mission and vision, you will not only boost employee engagement, you will increase the value of your brand – employment or otherwise! Storytelling is at the heart of marketing and also a cornerstone of a successful employment brand. A great brand will energize the best potential candidates to apply for jobs and have a common theme so that current employees tell friends and contacts a similar story about what it is like to work at your company. By telling your story and having your current and former employees serve as brand advocates, you will leverage your reputation and reinforce the public image of your company's culture, work practices, management style and growth opportunities. Step 3 – Develop a compelling message. Much like your branding strategy for products and services, your employment brand needs to tap into the audience’s emotions with a clear message and provide a compelling reason to work there. What makes you Different – Why Would I Work for You? In any brand strategy, the key is to determine your value proposition and identify what makes you different. The same applies to employment branding. In fact, one of the most powerful ways to develop your employment brand is to integrate it under one umbrella with your overall product or service branding strategy. Think Apple, Starbucks, or Southwest Airlines – these are companies who are very adept at hiring employees that reflect their external brand and internal values and culture. All three of these companies have an employment brand strategy designed to attract the type of employees they need in order to succeed. What their products and services are known for could easily be interchanged with the type of employees they hire. For Apple – think different, and build a tribe, Starbucks – offer personalized service, create a “third” place and be socially responsible, and Southwest Airlines – work hard, persevere, find a better way and have fun. The messages that these companies convey are integrated. Starbuck’s overall brand strategy is to create a very personal connection with their customers creating a “home-away-from-home” and build a reputation as a socially responsible organization who works as a “partner” to local communities and suppliers across the globe. They apply this same philosophy to the relationship with their employees. They are one of the few retailers that offer part-time employees a health and welfare benefits plan and their strategy to encourage employee participation in local community events is one that has been tremendously successful. They train their employees to learn the names of each of their customers and build a long standing relationship so that customers feel like Starbucks is their “home-away-from-home” or third place. The measurable results include increased employee engagement and retention, development of employee leadership skills and reinforcement of the company’s overall reputation. In simple terms, their differentiator is that they “care intensely” about the customer, their employees and the greater world at large. Their branding hits the mark of being current but timeless and excites across generations and job functions. It all works in synch and comes together under one umbrella with each branding effort reinforcing the other. Step 4 – Know Your Differentiators and Integrate Your Brands. Determine your own unique value proposition and differentiators to develop an employment branding campaign that dovetails with your product or service brand. 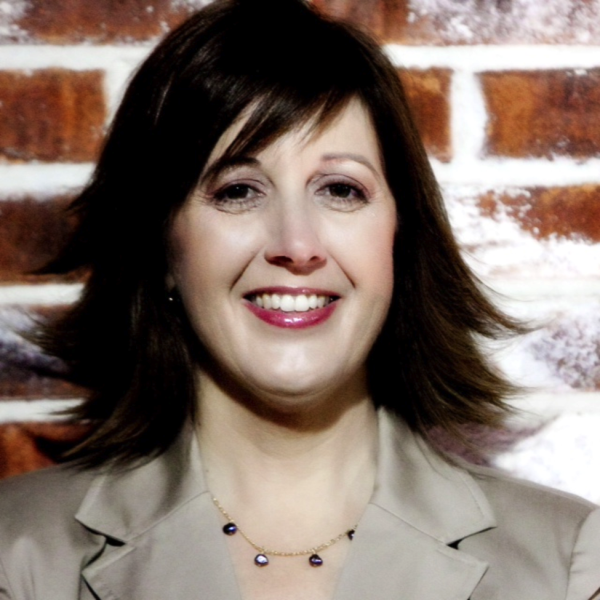 Kathi Crawford, SPHR, MMC is the CEO of People Possibilities, providing business services and strategic solutions based on a “people” focused approach. She effectively guides leaders and teams through challenges like growth and changing market conditions, startup operations, succession planning, and exiting the business – all of which have a critical people element. For more information, visit www.peoplepossibilities.com.